Do I roll for the fifth trait? If you roll dodge that's a dream bruiser. Absolutely would take defensive stance, even before dodge. Downers would be bullet dodge or vigilant. 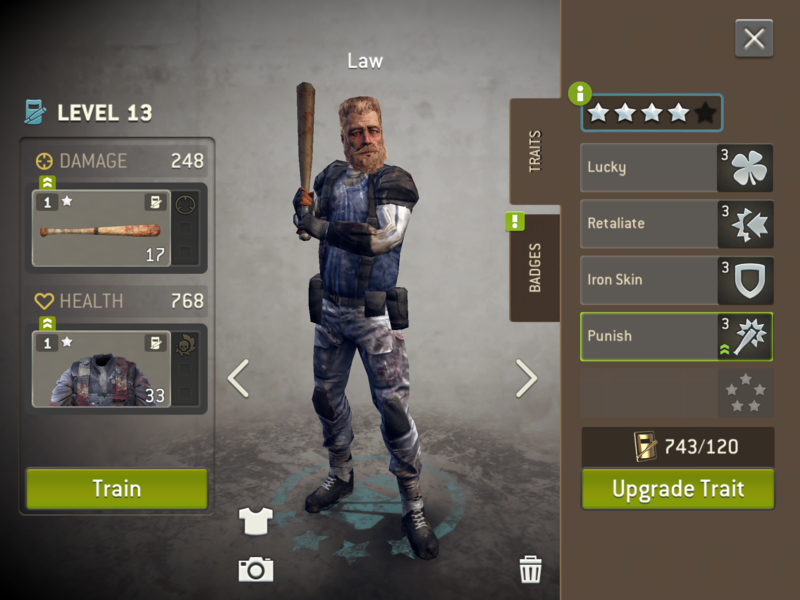 You have 4 fantastic traits so it just a matter if you get and absolute stud or a serviceable survivor. Spend those tokens! Defensive stance would be good also, if your going to setup you bruiser as a meat shield who can take the hits. 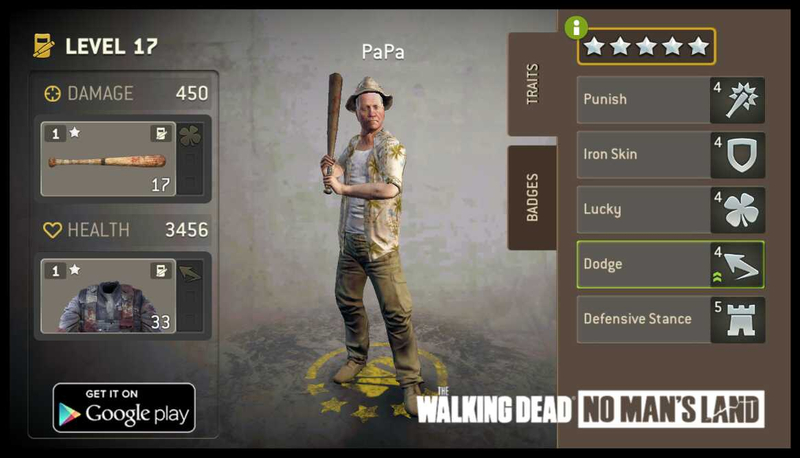 Damage reduction & health badges all the way ☺. And here’s the final product - a keeper? > And here’s the final product - a keeper? You guys are the best. Thank you so much! Congrats you hit a super stud. 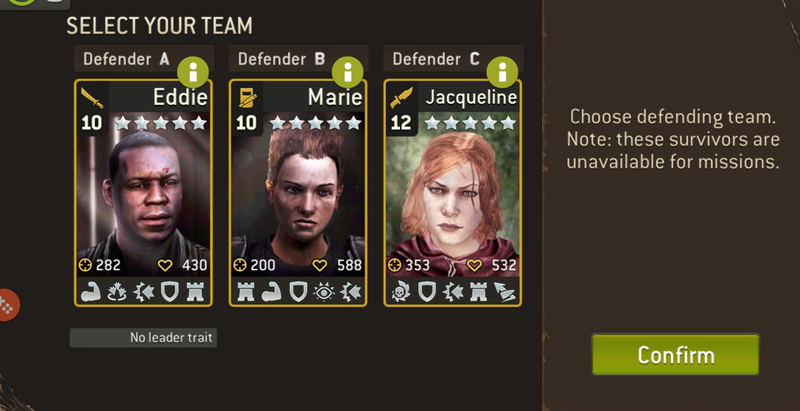 See table below on calculation for total damage resistance which is capped at 80% (I have a generic legendary survivor with your traits and my Abe as examples). You won't need to exceed 34% in damage reduction badges to cap out at 80% when in overwatch (when defensive stance kicks in). Use 3 health badges and whatever you need for damage resistance badges (if you exceed 34% it's still good as it helps you when not in overwatch). 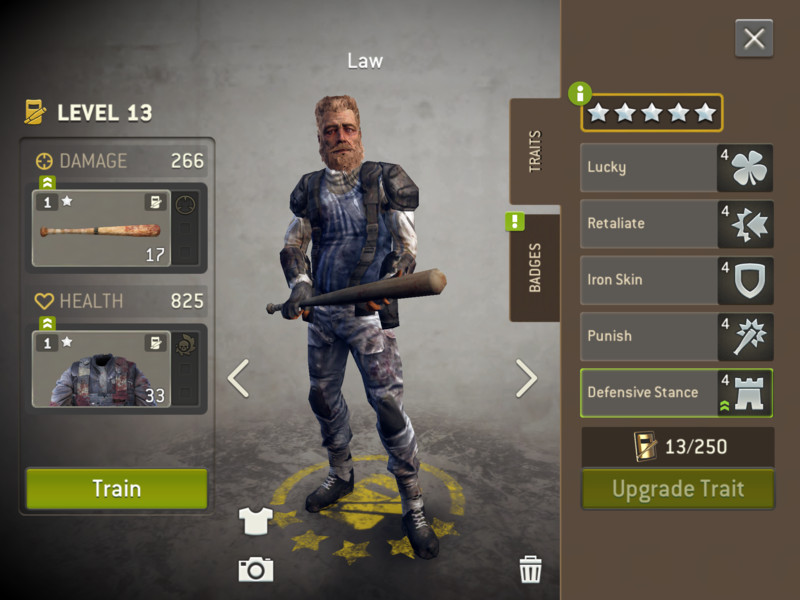 Maybe a + damage badge only if you've maxed out dam res and health. Cronus, you are a legend. I don’t know how you track these things so perfectly, but this is super useful. Going to take advantage of badge swap this weekend to soup this baby up to soak up some hits. Your bruiser is awesome. This is my old guy. How the heck do people get so lucky in this game? Ok I'll admit I've had some good rolls myself lately. Still wish my bruiser with DS, IS, Punish, and Retaliate I rolled yesterday got lucky instead of strength but I can live with that. > How the heck do people get so lucky in this game? Congrats on the epic bruiser!